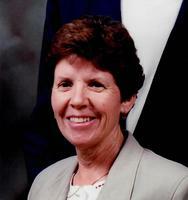 Provide comfort for the family of Virginia Hardin with a meaningful gesture of sympathy. Virginia M. Hardin, 81, passed away peacefully at her home on February 13, 2019. She was born in Albuquerque, NM in 1937 to Aurelia Martinez and Feliciano Chavez. She was predeceased by her parents, three sisters and three brothers, and her in-laws, Lonnie and Beulah Hardin. Virginia “Ginny” as she was known to those close to her, leaves to cherish her memory her loving husband of 61 years, Edward; son Edward and his wife Susanne; daughter, Cara Haley; daughter, Lynn Volk and her husband Kirk; son Eric; grandchildren Laura, Melanie, Cheyne, Nathan, Lindsey, Ashley; sister- in- law, Melba (Roland “Bud”) Ranks, niece April and nephew James along with several other nieces and nephews. Ginny graduated high school in Albuquerque, studied to be an Orthodontic Assistant, and met her future husband Edward while he was attending the University of New Mexico. Edward and Ginny were married in GA in 1957 while he was attending Naval Supply School. Ginny was a homemaker and Naval Officer’s wife and she enjoyed devoting her time to her spouse and children. She was an avid tennis player and for a time was part of the Little Creek Ladies Tennis Club. She also volunteered her time working with special needs children spending many years at Virginia Beach Infant Stimulation Program often bonding closely to the children and families. 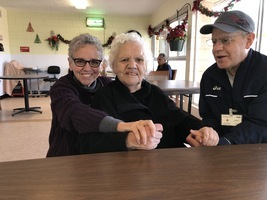 She also volunteered with various special needs organizations such as Helping Hands Summer Camp, Special Olympics, and Special Persons Mailing Service. In her later years she devoted time to her grandchildren often hosting sleepovers at Grandma’s house. She loved giving gifts and devoting her time to helping others. Ginny was described by those who knew her as an “Angel”. Her favorite pastimes were tennis, reading, gardening, and spoiling her grandchildren. She also was an avid football and basketball fan and often loved to debate on her favorite team or players. To send flowers in memory of Virginia Mae Hardin, please visit our Heartfelt Sympathies Store. Provide comfort for the family of Virginia Mae Hardin by sending flowers.